Read this WP Rocket WordPress Cashing Plugin Review Before Purchasing. It’s not as described. Even WP Rocket tech support couldn’t get their product to work as advertised. WP Fastest Cache FREE Plugin outperforms WP Rocket! 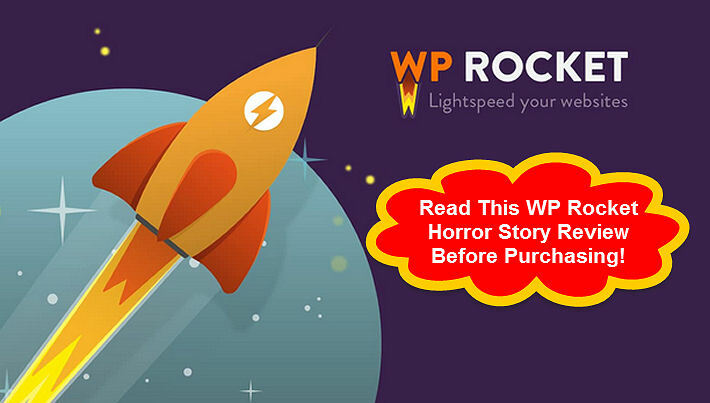 WP Rocket Review: Read our horror story before purchasing this plugin. We have been running WP Fastest Cache on this blog for several months. Our theme uses Google fonts that are not optimized. This lowers it’s Page Speed Insites score. WP Rocket claims it optimizes Google fonts but does not. Always looking for more speed, we decided to give WP Rocket a try since it offered a money back 30 day guarantee. Before purchasing and installing we ran Pingdom tools speed test on our home page and a rather large blog post. Next we uninstalled WP Fastest Cache and deleted it’s leftover cache files. Installed WP Rocket and set the basic plugin configuration. While WP Rocket’s average score was slightly higher, the speed and load times were lower. Tweaked a few settings but the speed did not match WP Fastest cache. Also our SimplePress forums page did not load, despite excluding it from caching in the config. It didn’t take long for us to decide WP Rocket was not for us. We contacted support and requested a refund (purchased with PayPal) to our account. After not receiving a response back, we logged into PayPal and opened up a dispute. Not long afterward we received a response back from Jonathan Buttigieg who offered to configure his plugin. We usually frown upon allowing anyone administrative access to our blog, but did a full files backup and dumped our WordPress database. Created Buttigieg an admin account and emailed the credentials to him. Sometime in the early hours Buttigieg logged in to this blog and was unable to make his plugin work satisfactorily. He deleted WP Rocket and emailed me this. Support staff email saying WP Rocket did not function properly. After being unable to find his refund in our PayPal account we escalated the dispute to a claim. In a few days PayPal after being unable to contact WP Rocket decided in our favor. These guys think they are so slick. They set up their PayPal sellers account as a shipped item. We were instructed by PayPal to ship the item back to the seller to receive our refund. After calling PayPal and going through automated phone system hell we finally got an agent. We explained this was a digital download, so there’s nothing to ship back. PayPal switched us to a clams agent who had to escalate the claim to a supervisor. We were told we would get a response by email with their decision. After waiting several days we made another call to PayPal and said it seems like a lot of jerking around for $39. The item is not as described, and WP Rocket support admitted that. After another hold the agent came back and said our claim was approved. PayPal refunded our $39. So at this point it appeared all was well. But we couldn’t get that lucky! After seeing 404 errors in our Google Analytic and Webmaster Tools accounts, we discovered Jonathan Buttigieg had changed our WordPress permalink structure. Never Ever change a WordPress Permalink Structure on an established website or blog. Doing that will muck up a ton of Critical SEO and Metadata items. 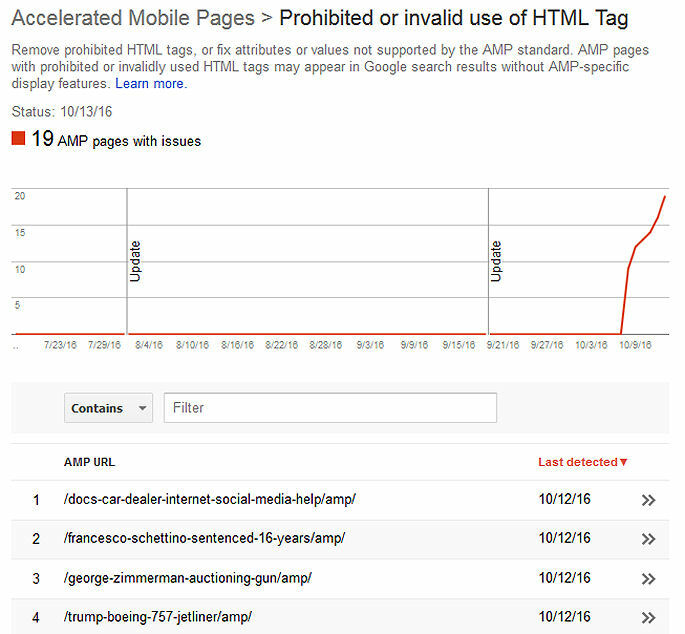 Webmaster tools AMP Errors caused by changing WordPress permalink structure. My thoughts and additional info are in this screen video. What an absolute WP Rocket Nightmare! I’m sorry you wasn’t happy with WP Rocket. > After seeing 404 errors in our Google Analytic and Webmaster Tools accounts, we discovered Jonathan Buttigieg had changed our WordPress permalink structure. Please note that me and our support team never update other options than the WP Rocket’s options. And even we change something like permalink, we will tell you. So, I can assure at 100%, I never update your permalink structure and even more without your permission! Jonathan, the server logs do not lie. You jerked me around with the PayPal Refund. I had to escalate my dispute with wp rocket to a pp claim. Even after escalating to a PayPal claim, it took two phone calls to get my money back. You lied about sending me a refund through PayPal, just like lying about changing my WordPress permalinks. Had you been a man of your word and refunded my money, we would not be having this rift. You got just what you deserved with this review. Wp Rocket is not worth it’s high price. Many free plugins work just fine. I have WP-Rocket for three websites and tried everything else that exists for WordPress. It works great and I was able to get .2 second pageloads and a perfect 100 on Google Pagespeed (when combined with other tricks – I would recommend using both Autoptimize and WP-Rocket together, for instance). The people there were also quite friendly and professional, so I would take this review with a huge grain of salt. WP Rocket has too many options, possibly to try and justify it’s high price. WP Rocket is not compatible with simple:press WordPress forum plugin. Besides why pay for WP Rocket when WP Fastest Cache is simple to configure, works great, and is FREE! As far as the “big grain of salt” comment goes, it’s coming from the same IP address as Jonathan’s.. Ouch! Thanks for the review! Was about to purchase this plugin but I will stick with WP Fastest Cache. Customer service is rude and unethical! I’ve been running wordpress for better than a decade. It’s been my experience with plugins there’s always a free plugin that is better than paid plugins. Still running WP-Fastest cache that’s regularly updated and is FREE! Garbage plugin. I saw no impact using Rocket and I told them so, so they offered to configure the plugin for me, in doing so, my web site was a mess thereafter 500 error- the web site was down! I had to do a site restore and redo some content. Big waste of time! Do not use this plugin. Lots of premium wordpress plugins are over rated. Many reviews published by aliases of webmasters who sell paid plugins and themes earning a commission on the sale. Always check the wordpress repository for a free alternative. There out there and work great, just like WP-Fastest cache we’re still running on this blog. I tested a lot of optmization plugin, and so far WP Rocket has been the best and easiest to use! I’m using with Cloudflare and Dreamhost. No complains. Why pay for a WordPress cache plugin when better FREE options are available? WP Fastest cache blows wp rocket away and is FREE! Thank you for this sanity. WP Rocket was a WP racket. Stupid money-grubbing plugin for people who don’t know what they’re doing. WP Fastest Cache or Comet Cache do everything we need, and they’re both free. Thanks for your comment.. I love WP-Fastest cache for it’s easy setup. It’s cdn option is great for feeding amazon aws s3 or cloud drive feed into WordPress without digging into php files.